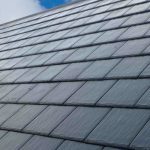 Roof Repairs Watford – Abbotts Roofing offers the most comprehensive service in repairing roofing related leaks to all roofing types in the Watford area. All roofs are not created equal, they are unique by way of shape, style, size, type, pitch and age which require a unique type of roofing specialist to isolate and diagnose every issue or concern that you may have. Likewise not all roofers or roofing contractors are specialists in leak detection or roof repairs as some roofers specialise in particular types of roofing and others a particular type of building. As a word of warning there have been some roofers and roofing contractors that have given the roofing industry a bad reputation in the past. Abbotts Roofing and its qualified roofing staff are proud to have achieved a very high rate of leak free success based on our qualiy workmanship. We offer impatial advice about whether to repair or replace the roof. If roof repairs are not cost effective, you want straight-up advice from trusted professional roofers about whether to fix the roof or replace the roof. Abbotts Roofing will give an honest opinion about the condition of your roof. If you do decide to reroof, consider insulating your ceiling cavity – it makes sense as it’s a relatively easy and cost effective time to replace or put in new insulation while the roof is off. Our experienced team of tradesmen are specialised in the field of restoration, re-roofing and maintenance on concrete tile, lightweight metal tiles and long-run roofs. Abbotts Roofing also offers a wide range of other roofing related services including roof reports, pre purchase roof inspections and an urgent action roof repair service. For all roofing queries, free inspections or quotations contact us today.